The Most Durable Economy in the World? PRESIDENT BARACK OBAMA: Let me start with the economy, and a basic fact. The United States of America right now has the strongest, most durable economy in the world. [Applause] We’re in the middle of the longest streak of private sector job creation in history. [Applause] More than 14 million new jobs, the strongest two years of job growth since the 1990s, an unemployment rate cut in half. Our auto industry just had its best year ever. [Applause] That’s just part of a manufacturing surge that’s created nearly 900,000 new jobs in the past six years. And we’ve done all this while cutting our deficits by almost three-quarters. SHARMINI PERIES, EXEC. PRODUCER, TRNN: Welcome. It’s Sharmini Peries at the Real News Network. And that was President Obama delivering his last State of the Union on Tuesday. He is discussing the economy in that particular clip. And joining us to measure what he said against reality is two guests. First joining us is Dedrick Asante-Muhammad. Dedrick is with the Corporation for Enterprise Development, where he directs the Racial Divide Initiative. And also joining us from Amherst is Robert Pollin. Bob is professor of economics and founding co-director of the Political Economy Research Institute at the University of Massachusetts Amherst. Thank you so much for joining us. 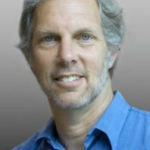 ROBERT POLLIN: Thanks very much for having me on, Sharmini. PERIES: So Bob, let me go to you first. I know that job creation has been one of the stated mandates of Obama from the get-go, and this particular speech is supposed to be a legacy speech. So let me start off with his track record on job creation in this last seven years. POLLIN: Well, look. He came into office in the midst of the most severe economic crisis since the 1930s. He did, he did succeed in not making things worse. He did succeed in putting a floor on a collapsing economy. And you know, he deserves credit for that. He wasn’t the only person that did it, but he deserves credit. It is true that at the peak of the crisis, the unemploy–the official unemployment rate was 10 percent. Today it’s 5 percent. Okay, and that’s what he means when we said we cut unemployment in half. However, if you look at the–there’s basically, the official unemployment rate is about 8 million people. That’s 5 percent. On top of that there’s another 5 percent, bringing a total of 10 percent, to people that are underemployed. That want full-time work that are getting very part-time work, or are discouraged from being in the job market. And on top of that there’s another 5 million people who have dropped out of the labor force and have stopped giving up, stopped applying for jobs because there’s no opportunity. If you add those three together, we’re really at an unemployment rate today in the range of 15 percent. In the range of about 25 million people. So 8 million officially unemployed, 8 million underemployed, and 8 million dropped out. So that is really not a very successful track record, given that we are now six years into a recovery. Obama did also, he did mention that workers are feeling still insecure, even with this low official unemployment rate of 5 percent. That is true. Workers have seen their wages stagnate, there have not been any wage growth, which is the basic reason why we continue to see rising inequality in the economy, which he made brief references to, but that certainly wasn’t a central factor in his speech. The rising inequality, there is a strong recovery of Wall Street, for the wealthy. We still have effectively 15 percent unemployment and wage stagnation. And that is really Obama’s true legacy. PERIES: And Dedrick, let me start with getting your initial reaction to the speech. DEDRICK ASANTE-MUHAMMAD: Yes. I mean, I think, you know, his speech, it was interesting that it was more of a vision speech, and it was kind of a, it was reclaiming his hope and change and saying that, you know, hope and change is still what is needed in America. And I think we do–it’s hard to disagree with that. There was not many specifics as to how we’re going to address a lot of the challenges that this country still faces. And I do find it interesting that he talked about what the country needs to deal with, grappling changing technology, and made that a central piece of the economic problem. But he didn’t really get into that, a central part of our economic problem. It’s how inequality is structured into our economy. I mean, he did note that workers have been facing challenges before the recession. But he did note how America can best deal with that outside of just saying we need to reignite our innovative spirit and act like, through some type of technological change, you know, things will magically get better. But I think the lack of focus, particularly when it’s been such a huge discussion during his seven, eight years, that inequality has been such a huge piece, the fact that he didn’t address that in his last State of the Union says something about what he’s focused on and what his legacy has been. PERIES: And Bob, do you think, given what Dedrick is saying, and given that growing inequality, not just in the United States but worldwide, is something that has gotten a lot of attention in the economic sphere, and President Obama had the opportunity to actually create a transformative economy in spite of the fact what he inherited. You know, this is something that you have strongly advised him on, not him in particular, but his administration, in terms of using this opportunity to create green jobs. Do you think he could have done a better job? POLLIN: The stimulus program that, you know, was his first major initiative coming into office in February 2009 contained a very dramatic program for green investments that were going to create jobs. Investments in energy efficiency and renewable energy. And yes, I was, I played a small role in both designing that program and working on it in, as a consultant in the Energy Department. And I do think, as he said in the speech, I mean, there have been definitely positive developments. And green sector, you know, solar, wind, have been growing at rapid rates. They’re–by the way, they are growing from tiny, tiny bases. So to grow at a rapid rate isn’t that hard. So I want to give Obama credit for that, and for example raising the fuel efficiency standards for cars, mandating that. That’s been very important. All of those things are important. And yes, he mentioned the military. And yes, the military is committed to being 25 percent renewable in a decade. So all of those things are good. They are not nearly close to adequate relative to the challenge faced today by climate change. I mean, the U.S., he did say we cut emissions more than any other country. That’s true. That’s because we emit more than any other country, other than China. And China has not yet moved into a phase of reducing emissions. So the U.S. has a long way to go, and has historically been the country most responsible for generating greenhouse gas emissions. So we’re nowhere close to even absolute reductions in emissions that are necessary, at minimum something like 40 percent over 20 years, we’re nowhere close, and his program doesn’t get us anywhere close to that. So he says nice things, the programs move in the right directions, the job creation is there, though very, very modest. And so that’s kind of the legacy. Kind of nice intentions, directional, positive developments, but nowhere close to what is needed. PERIES: And Dedrick, let me go to you. Running on this theme of inequity once again, I mean, we know that the African-American community in particular is perhaps the hardest hit in this period of economic instability. And when you look at job numbers, and those who are not even in the actual job numbers any longer, because they’ve given up looking for work, and the African-American community is one that is most affected by all of this. How did he measure up in his legacy in addressing this problem? MUHAMMAD: Yeah, his State of the Union speech I think pretty much reflects it in that it wasn’t mentioned, racial, economic inequality. I think it’s important to mention, you know, there was a lot of, you know, job development, a massive stimulus package, the biggest stimulus package we’ve seen in decades. And yet it was decided not to deal with this issue of racial economic inequality of, you know, African-Americans have had twice the unemployment rate of whites since 1963, since the march on Washington for freedom and jobs. Over 50 years. And there was an intentionality in not addressing that. And that has been successful. African-Americans are still at Great Recession unemployment numbers, not even getting into underemployed and those out of the job market, at a little over 8 percent. Latinos are still strong in terms of having recessionary unemployment numbers of over six percent. So these issues haven’t been addressed, and it wasn’t even mentioned in his last State of the Union. And you know, the country continues on along its path around racial inequality as we approach Martin Luther King’s birthday. PERIES: And let’s take a closer look at the job numbers here in terms of the recent reports that we have gotten from the Department of Labor that, you know, people are slowly moving into jobs, and job rate in the country is improving. However, over the period of his reign, of President Obama’s reign since he took power in 2009, how has the job situation improved or not for the, for most Americans, Bob? POLLIN: Well if we, if we take today and we compare it to, you know, when he came into office, it’s clear there has been improvement because we had an official unemployment rate of 10 percent in 2009, and as [Derek] said, I mean, and these things are, reflect, that’s the overall rate for African-Americans is twice that. And that, that gap has never been closed. But now, so if we want to say six years after a recovery, so if we look at, like, the most severe recession before this one in the early 1980s under Reagan, we had 10 percent unemployment then, but the economy bounced back very quickly so that, you know, when Reagan ran for office in 1984, his phrase was “it’s morning in America”, because he had gotten the unemployment rate down much more quickly than what happened under Obama. The other thing is the wage stagnation. Now, wage stagnation has been going on since the mid-1970s. But we haven’t reversed it. Obama made reference in the clip you quoted, too, to a manufacturing revival. Well, since 2000, the year 2000, we’ve lost 5 million manufacturing jobs, and we don’t really have anything like a serious program to get those jobs back. So you know, it’s, it’s a, I would have to say it’s not a very successful record. If we want to measure it relative to crisis, it looks pretty good. Relative to reversing the worst features of neoliberalism, as they prevailed for two generations in this country, with workers getting beat up, African-Americans getting beat up, rising inequality, no, we don’t see significant progress. PERIES: And Bob, this question of the minimum wage, when we started with the President Obama’s presidency, it was at $7.25. It’s still at $7.25. All he has managed to do is urge the Congress to actually push it to $10.20, but he hasn’t actually succeeded. What has this meant in terms of bridging that inequity gap we’re talking about? POLLIN: Yeah. The minimum wage is not the only tool, but it’s probably the single most powerful tool to raise living standards for people at the lower end of the, of the income distribution. You know, you can’t really just blame Obama, because, you know, he’s, he’s got a Republican Congress. He’s had [inaud.] so it’s, it’s not, it is not–it’s Obama, but it’s not just Obama. You know, the minimum wage should be $15 an hour, double what it is now, to have any semblance of equity, improving equity, for low-wage workers in this country. And you know, that is happening in some cities, it’s happening at state level. Obama did introduce it at, you know, in terms of federal contract work. So you know, there has, again, like we’ve been saying, there have been modest developments, modest improvements, but nowhere close to what’s necessary to deliver some modicum of justice for low-wage workers and their families. PERIES: And Dedrick, do you want to address this issue as well, in terms of the minimum wage, which could have been used as a tool to really bridge the inequity divide in this country? MUHAMMAD: Well, I think it’s more the, the tactics of President Obama is that, you know, in his speech he went back to what he’s known for, about this idea that if we just sit around and reason together that that is how America will move forward. And I think what, I think it was [inaud.] think we can’t blame just the president for what, what happened economically or didn’t happen economically. What we can look at is his strategy of let’s just talk to the other side, and we’ll all come together and do what’s right. I think we’ve seen that that hasn’t been the case. So just saying, you know, it would be good for minimum wage to rise, or that, you know, America should come together and deal with these issues, or with gun control, what have you. That has not been effective strategy. There’s, you know, there’s a reason why our economy is going the direction it is, and we need to really have a strong kind of insurgent fight if we’re going to get out of this pattern that even, again, the president recognized was occurring before the Great Recession. And I think, you know, a stain on his legacy will be that it’s continuing after the recovery. We didn’t need a recovery. We needed a restructuring of the economy. PERIES: And Dedrick, this is our last question of the evening, now. One thing that President Obama inherited was a horrible economic situation, a market crash, and needing to address a major bailout and stimulus packages and so on. And throughout that whole process some very good people made a great number of proposals in order to regulate Wall Street, and one particular measure was the Dodd-Frank Act. And yet the president and his team has been short on delivering on that end. Your thoughts on it? MUHAMMAD: Well, I’ll say–you know, I’ll say one thing. I think President Obama, positive in his legacy, is that the CFPB, Consumer Financial Protection Bureau, was created. I think that that was positive. It doesn’t have, maybe, the teeth and the regulations that we want right now, particularly as we, you know, you were talking about the Dodd-Frank bill dealing with regulations around Wall Street and the banking industry. But I think the creation of the Consumer Financial Protection Bureau, if they can manage to keep going, will be an important way to limit some of the worst of the predatory practices that were occurring, you know, as that led up to the Great Recession. PERIES: And Bob, your, you get the last word on the Consumer Protection Act, on the Dodd-Frank bill, as well. How did Obama fare? POLLIN: Well, he didn’t really mention it in his last State of the Union, which is I think meaningful, that, I mean, he didn’t consider it important enough to highlight it in anyway. The Dodd-Frank bill that passed in 2010 was a mixed bag. It certainly wasn’t as strong as our old financial regulatory system, the Glass-Steagall act that was passed during the Great Depression. But it did have some strong features. However, the single weakest feature of Dodd-Frank was that everything was built around, you know, let’s phase this in over many, many years. Let’s have a lot of studies to figure out how to do this right. And the, the result has been that very little has been accomplished in terms of really putting limits on what Wall Street is able to do in terms of speculation driving the economy. It’s still the case that Wall Street finance drives the economy. 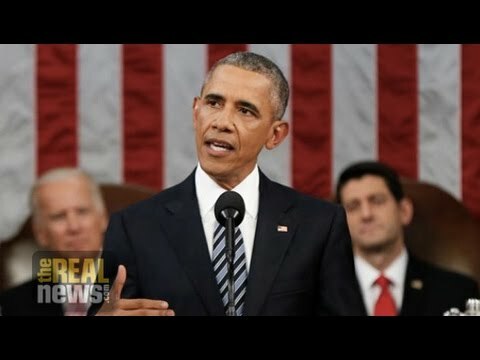 What we should have seen over Obama’s presidency is as Dedrick said, a transformational shift out of Wall Street dominance and into areas like manufacturing and the green economy as the main engines of, of opportunity and growth. We talk about those things, but that hasn’t happened. So Dodd-Frank has not done the job it has needed to do, in terms of regulation. PERIES: All right, gentlemen. Thank you so much for joining us in such a late hour today. POLLIN: It’s been great, thank you for having me on.